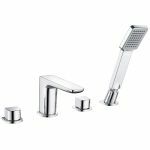 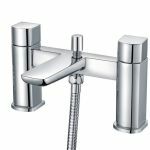 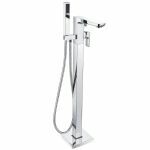 The Shield Muro 3 Hole Basin Mixer Tap is a unique piece for your basin that effortlessly mixes water until you get the perfect temperature to wash. Made for mounting into a three-hole basin, the taps have a lovely soft squared design that matches the extended range. 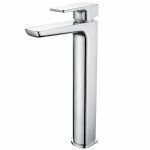 This is both aesthetically pleasing and easy on the hands as they are simple to grip. 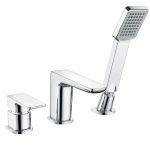 Made with ceramic disc technology and brass construction, this is a basin mixer made to last. 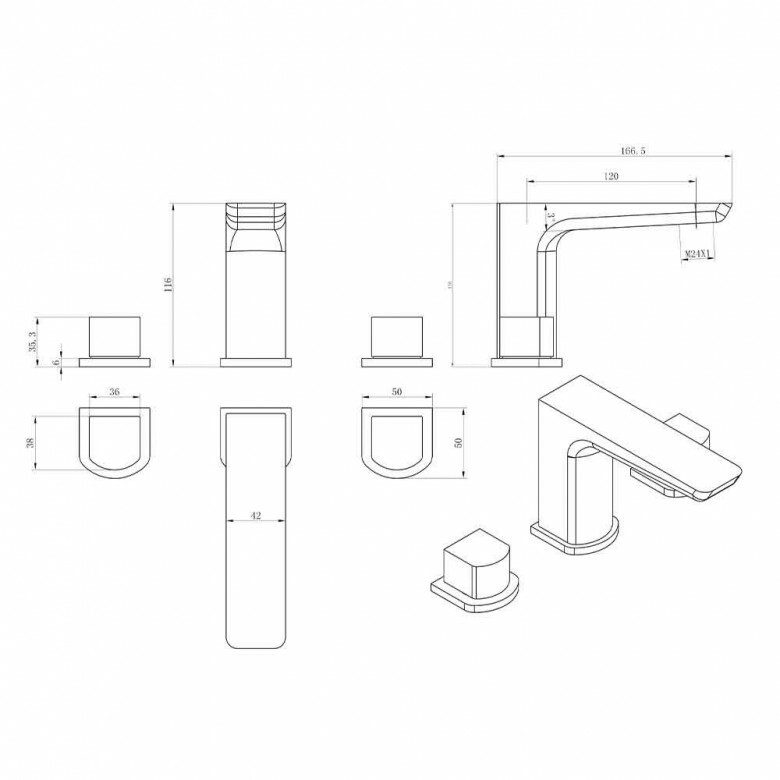 The height is 116mm while the spout reach is 120mm. 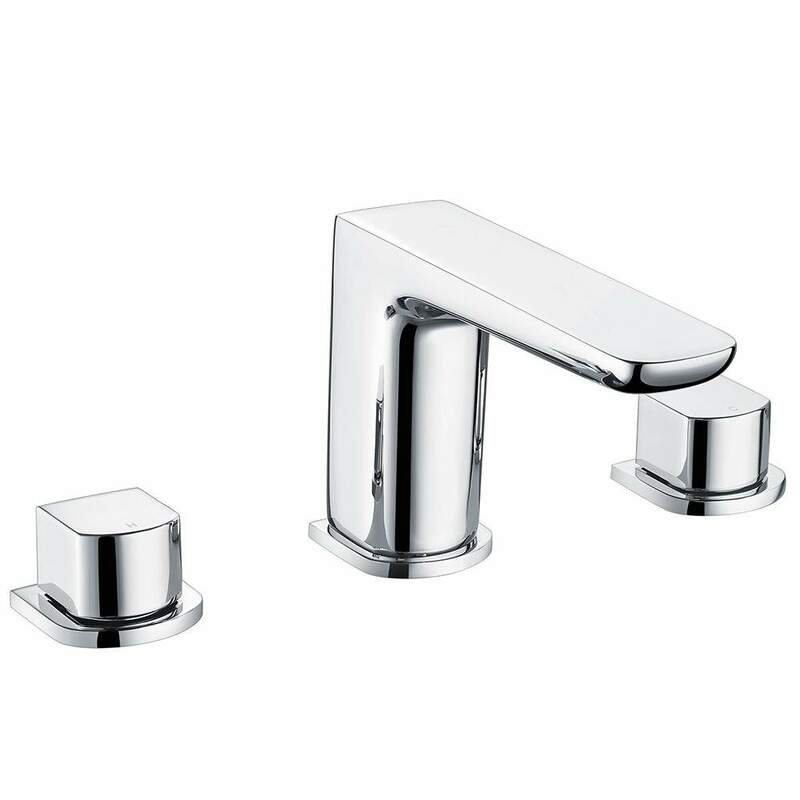 The silver chrome finish easily fits in with any design and includes a push basin waste. 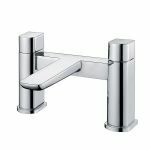 If you're looking for a lovely and effective basin mixer tap, then our Shield Muro 3 Hole Basin Tap is perfect for you. 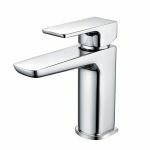 The rounded square taps look amazing while being very simple to turn. 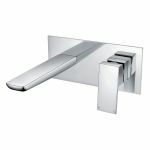 This is a simple piece with a beautiful design that fits into any bathroom with a suitable basin.